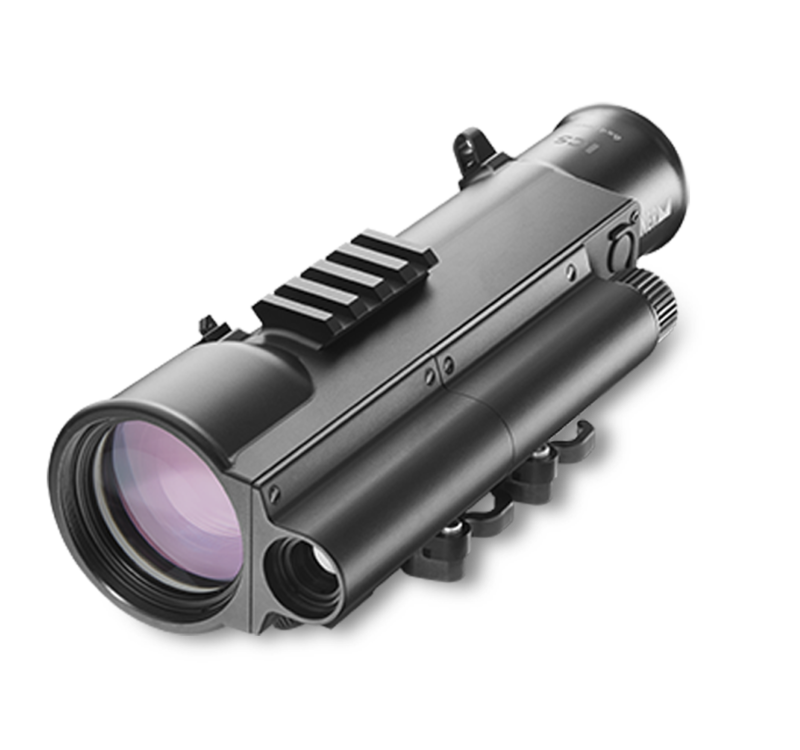 The new ICS Intelligent Combat Sight integrates a laser rangefinder and a ballistic calculator into a rugged, compact tactical weapons sight for increased accuracy, greater first-round hit probability, and shorter time of engagement. is rugged, intuitive, and easy to use. for the 7.62x51mm battle rifle, easily set up for 5.56 mm, .300 Blackout and .300 Win Mag cartridges. accepts cartridge ballistic data for ammunition-specific targeting. compensates for steep angles, high or low. adjusts from dim to bright for daylight conditions. indicates precise point of aim for specific cartridge and distance. for windage and up to 120 MOA of elevation. for quick, fingertip laser activation. for targeting at longer ranges. on the top of the ICS allows for the mounting of an auxiliary sight for CQB operation. adapt to any MIL-STD 1913 rail.